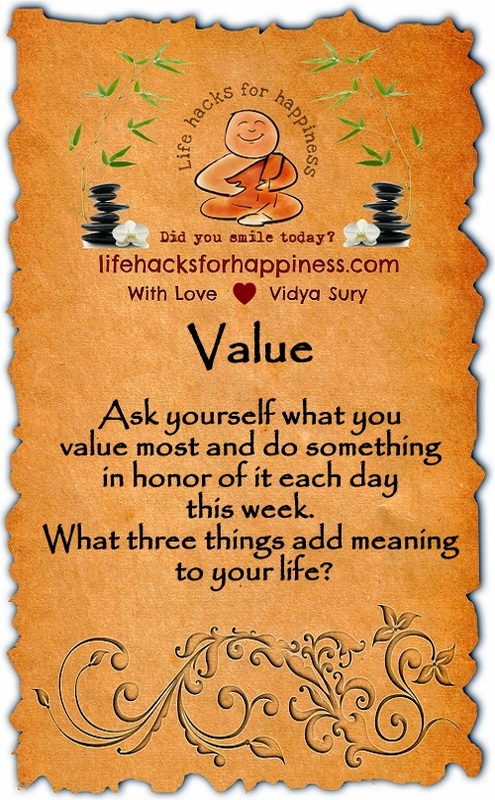 Ask yourself what you value most and do something in honor of it each day this week. What three things add meaning to your life? Thought provoking post, Vidya. I don’t often ask myself these questions and I must make sure I take the time to reflect on such important matters. Thank you. I am in awe as to how you are managing three blogs throughout this challenge and each one is of value and different. Thank you very much! !